Asia Pacific Travel Marketing Services Pty Ltd (APTMS) are proud to announce the expansion of their product range through the purchase of The Small Ship Adventure Company & Alaska Bound, a niche Alaska & Worldwide Small Ship cruise product specialist. Managing Director of APTMS Kylee Kay says, “We are very excited about the opportunity to incorporate the Small Ship Adventure Company & Alaska Bound into APTMS. I believe, APTMS is well placed for this expansion and the current offerings of Small Ships & Alaska Bound will enhance and solidify our growth opportunities in the North American and global arenas by exclusively representing Zegrahm Expeditions and Alaska Dream Cruises”. The Small Ship Adventure Company was established in 2009 as Australia’s first exclusively small ship cruise wholesaler. 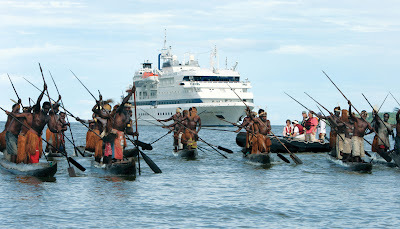 The company now represents exclusively one of the world’s top expedition cruise companies ‘Zegrahm Expeditions’ and Alaska’s newest small ship cruise company ‘Alaska Dream Cruises.’The sale signals the farewell of Founder, Maryann Anderson; however, daughter Suzannah Cowley will remain on and provide continuity from her new role within the APTMS management structure. The APTMS team are very pleased to have Suzannah join us, her energy and passion for Small Ships & Alaska Boundwill be of great benefit to us and ensure a smooth and seamless transition. The synergies and opportunities that are created through this acquisition, greatly strengthen APTMS’s presence in the North American wholesale and representation market. It’s a great fit for APTMS’s existing principals and partners in that market. APTMS is committed to continuing to offer the exclusive intimate travel experiences that Alaska Bound & Small Ship Adventure Company have become so renowned for over the past decade.